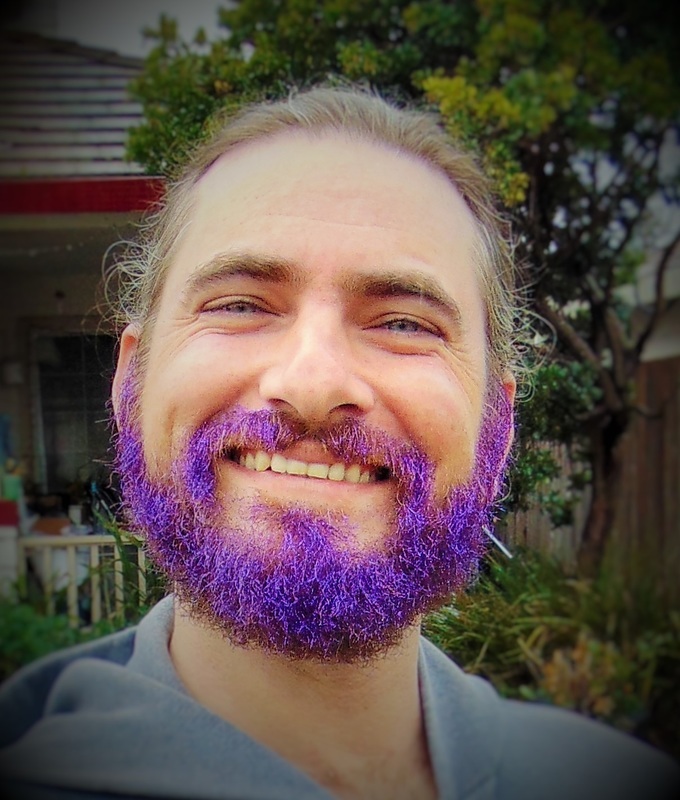 Derek Havstad loved his purple glitter beard and promptly went to the bar to show his friends on a Friday night. 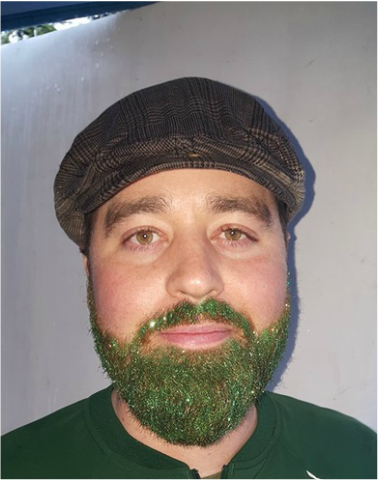 Eric Bostrom Wore a really nice shade of copper for his glitter beard and was so surprised at how quickly we were able to cover all his natural color. 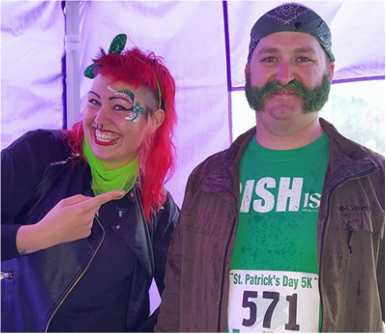 Alicia The Electric showing off her work with this amazing green glitter beard, or glitter chops. 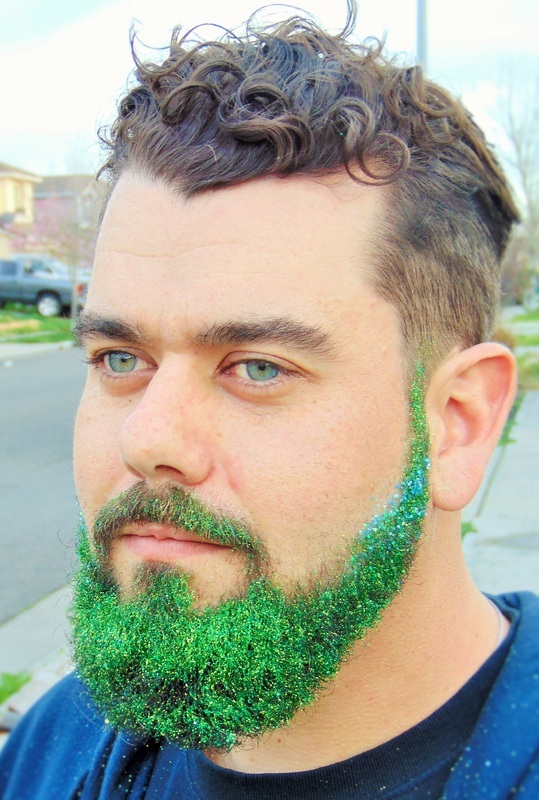 Clementine The Amazing has researched and researched and found the best way to safely apply glitter beards. She has trained her team, so we can all bring some BLING to men's world's too. Clementine believes in "safe for the face practices", and take extra precautions with men's faces under their beards as they can have more sensitive skin. 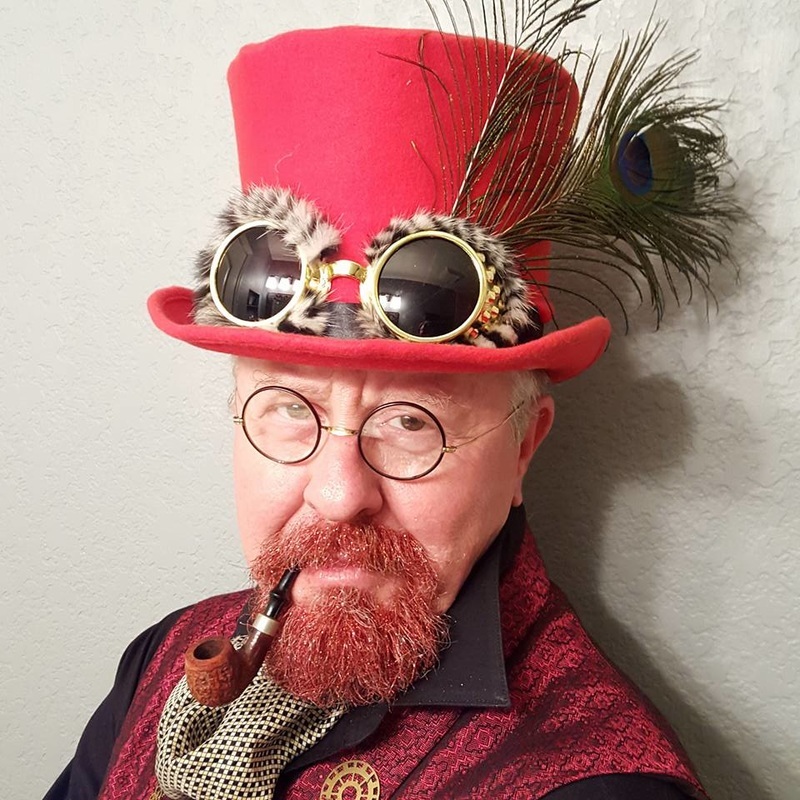 Clementine uses all cosmetic grade glitter, beard oil and make up sealant spray ( to have a more lasting effect). 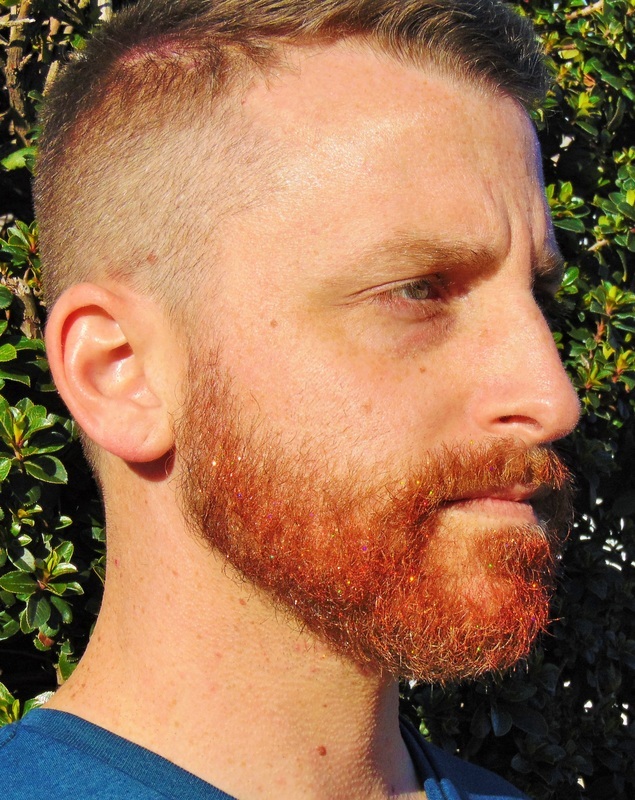 Every thing we put on the beard is meant for the face, no hairspray or craft glitter as these things can dry and irritate the skin. No glues either, so your glitter will wash off easily and quickly when you are done wearing your sparkles. Please keep your eyes out at our events this summer as we will be offering this service to event guests.